BEIJING (AP) — Two days after announcing the end of her momentous tennis career in an open letter to friends and fans, Li Na entered her farewell news conference with the appearance of somebody who had been crying. It didn’t take long for the two-time Grand Slam champion to shed tears, again, as she explained her decision to retire in the wake of a fourth knee operation. “I feel this is the best time for me to retire. I don’t feel sorry or have any regrets about retiring,” she told a packed news conference Sunday at the National Tennis Centre in Beijing. 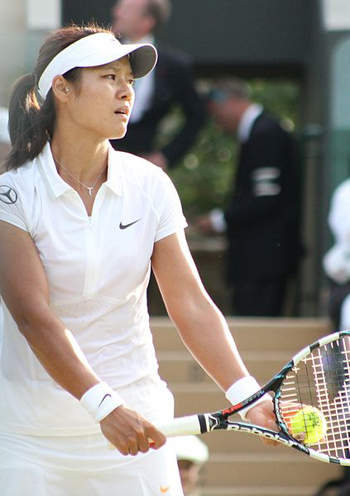 The 32-year-old Li won the French Open in 2011 to become Asia’s first Grand Slam titlist. She won her second major in January, finally claiming the Australian Open title in her third trip to the final at Melbourne Park. She only entered seven tournaments after that, and hasn’t played since a third-round defeat at Wimbledon. She withdrew from three tournaments in August, including the U.S. Open, citing a knee injury.